After years of trying to engineer a more environmentally friendly coffee cup, Starbucks is turning to you for ideas. And it's willing to pay. 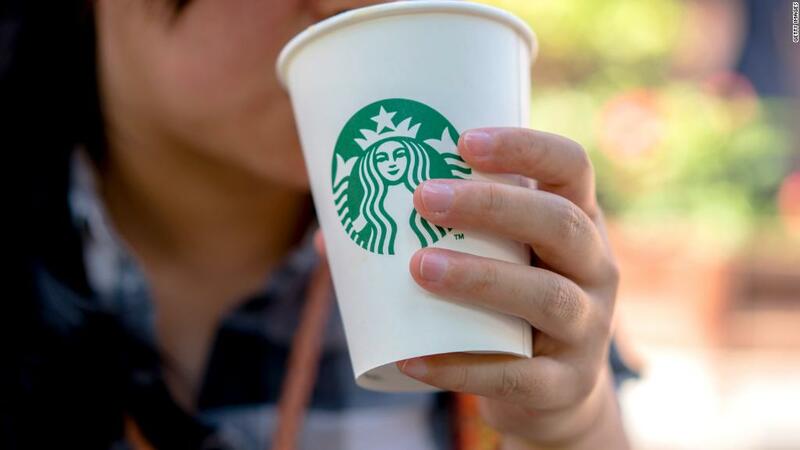 The company announced Tuesday that it's launching a $10 million grant challenge to solicit designs for a cup that's easier to recycle. Starbucks (SBUX) partnered with a recycling-focused investor group called Closed Loop Partners for the project. "We've always had a social impact agenda," Starbucks CEO Kevin Johnson told CNN's Maggie Lake on Wednesday. Sustainability is a big part of that agenda, he said. In 2008, Starbucks set several aggressive goals to reduce its environmental impact. In 2010 it pledged to ensure that 100% of its cups would be reusable or recyclable by 2015 -- which did not happen. Its current cups are made with just 10% post-consumer recycled fiber, and they're only recycled in cities with the "appropriate infrastructure" including Seattle, San Francisco, New York, and Washington, DC. "No one is satisfied with the incremental industry progress made to date, it's just not moving fast enough," said Colleen Chapman, vice president of Starbucks global social impact overseeing sustainability, in a statement. Separate from the grant challenge, the company said it's conducting its 13th internal test on a cup with an inner lining made of plant fiber to see if can prevent hot liquid from leaking. Dunkin' Donuts (DNKN) said last month that it will eliminate polystyrene plastic foam cups by spring of this year and get rid of foam cups altogether by 2020. They will be replaced by recyclable paper cups, according to the company. McDonald's (MCD) also said earlier this year that it would eliminate foam cups and replace them with renewable or recyclable materials in all packaging by 2025.